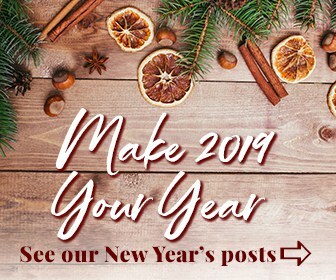 I don’t know about you, but when the new year gets near, I start to get caught up in a flurry of inspiration. A ton of new ideas pop into my head, and I think about all the amazing things I want to do in the new year. While this burst of productive energy is lovely, it’s not going to amount to much if I don’t capture and organize my ideas. That’s why I like mind mapping to control the chaos and find a direction for the new year. A mind map is a web of ideas that you create as you get hit with certain thoughts. Ideas can branch off, dissect, and form into new ideas on the page. This is a method that allows you to explore ideas organically on paper and capture all your wild thoughts. You can flesh out certain thoughts and develop them further or simply get it all onto paper. You can learn more about mind mapping and why it’s so effective here. 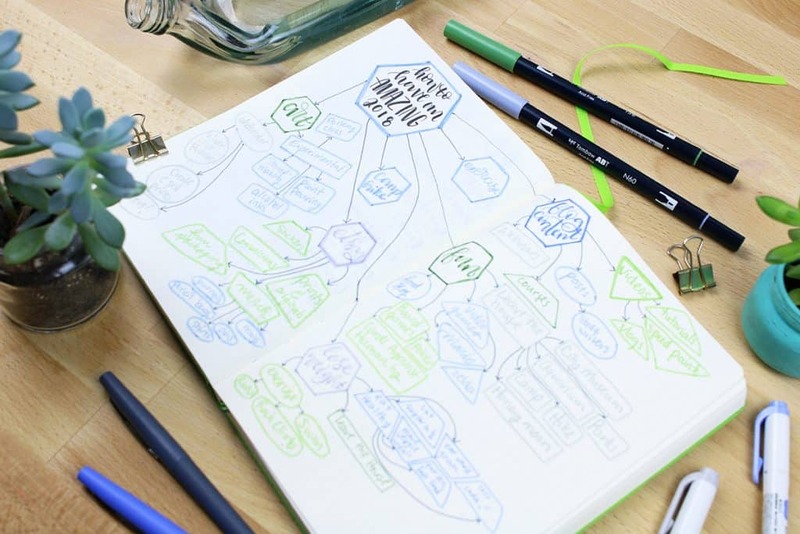 Mind mapping is an excellent thing to do right before or during the new year. You can identify what is on your mind, what you want to focus on, what you want to start, and a ton of other goal-oriented ideas. This method allows you to figure out specifically what to do in the new year and how to go about doing it all. For my mind map, I had a few common themes. I want to focus on pushing my art even further by experimenting with new techniques and mediums. I want to continue to explore my creativity with different types of arts and crafts. Besides that, I also want to focus on creating more products for my Etsy shop, like stickers and other fun merchandise! It’s something I’ve been thinking about for a while, and mind mapping has helped me bring those nebulous ideas down to earth. There are a ton of other things in my mind map, but my point is that it’s a fabulous way to draw abstract ideas into the concrete realm so you can actually do something with them! 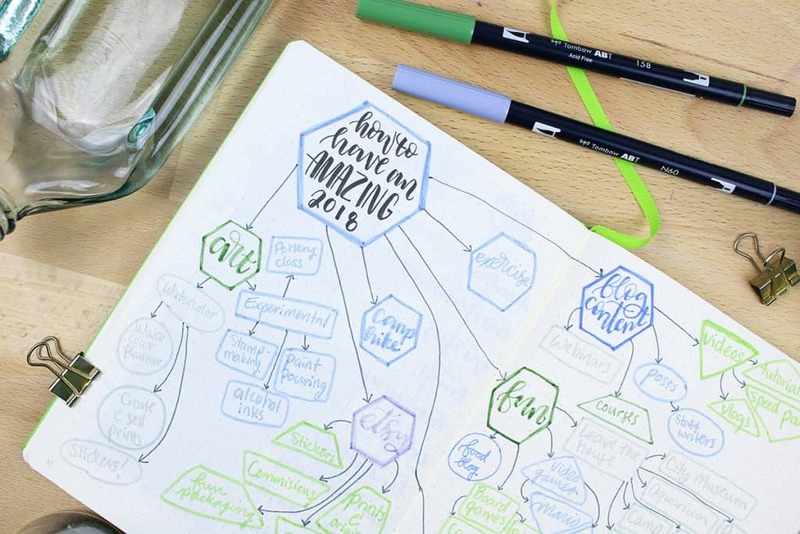 Mind mapping isn’t just good for a flood of ideas – in fact, it’s excellent for when you’re feeling a bit inspirationally dry as well. If you aren’t feeling like you have a whole lot to work with, you can take a single thread of thought and tug on it with a mind map. Write it out on the page, start jotting down anything that’s even slightly related, and you’ll find that ideas will start rolling out of you more than expected. Something about drawing out bubbles, boxes, and lines just helps pull the ideas from you like never before! 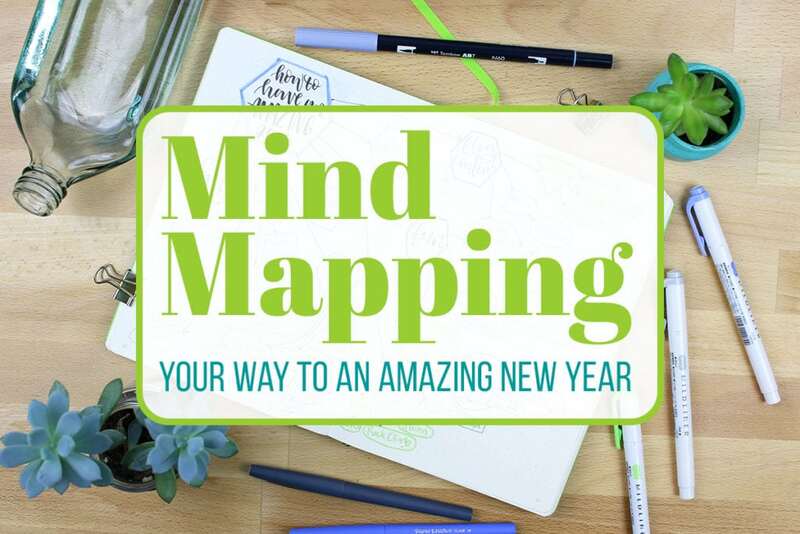 If you’re struggling with finding a way to direct your new year energy as we enter the new year, consider sitting down for a mind mapping session. 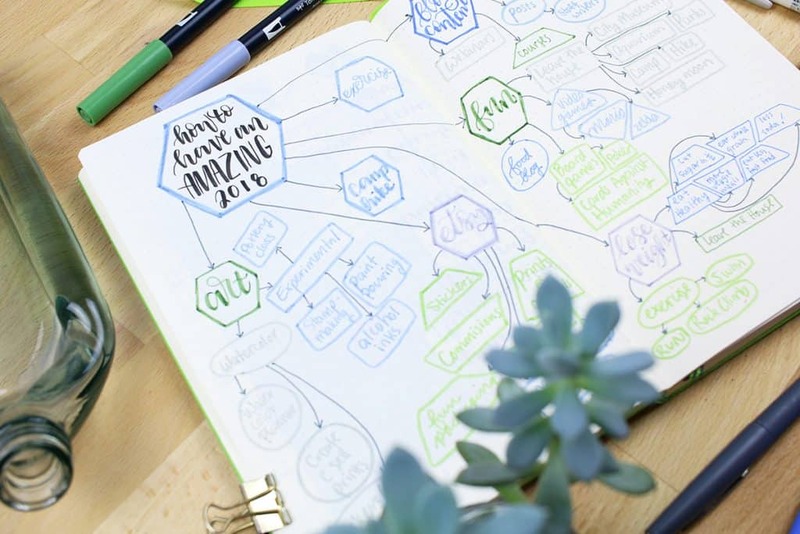 You’ll be pleasantly surprised how this simple method will help you capture your goals and turn your abstract thoughts into plans. Plus it’s a whole lot of fun! 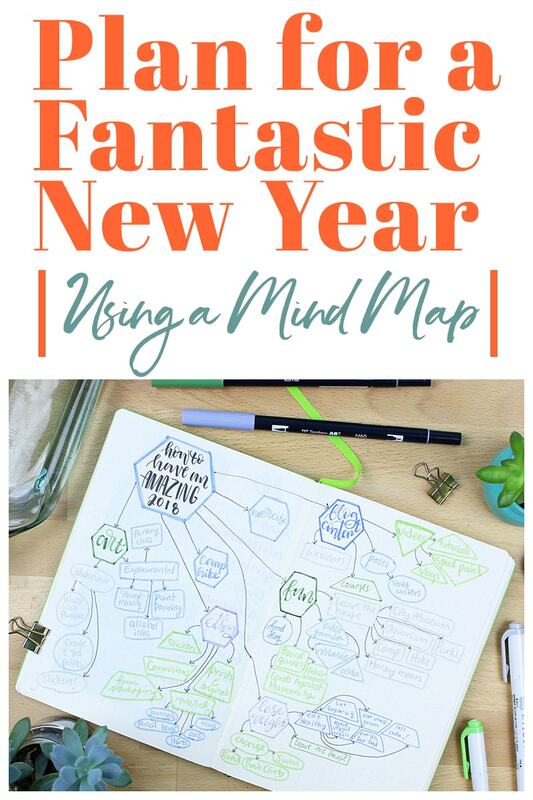 Give it a try and see how mind mapping can help you tackle the new year with focus and energy.